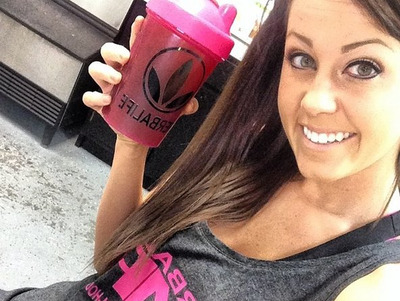 Controversial multi-level marketing health company Herbalife reported its third quarter earnings on Monday afternoon. Earnings per share came in at $US1.45. Analysts polled by Factset expected earnings per share to come in at $US1.51, up from $US1.41 at the same time last year. So that’s a miss, and now the stock is getting punished. It’s now down 12% in after hours trading. Perhaps the worst part of the earnings release was that the company’s guidance also fell remarkably short of The Street’s expectations. Analysts expected 2015 guidance to indicate 7% revenue growth, but the company announced that it saw -1%-2% revenue growth. On Friday the company agreed to pay a $US15 million fine to settle a class action suit brought by a former employee who claimed that the company was a pyramid scheme. It’s the same accusation that has been plaguing the company since December 2012, when hedge fund manager Bill Ackman gave a 300 slide presentation making the same claim. He then announced that he was shorting the stock to zero. The resolution of the class action suit suggests that the government may be done looking into Herbalife — definitely not good news for Ackman’s trade. It is, however, good news for Carl Icahn, the investor who very publicly lambasted Ackman for his position. Herbalife Ltd. (HLF) today reported third quarter net sales of $US1.3 billion, reflecting an increase of 4 per cent compared to the same period in 2013. Adjusted1 net income for the quarter was $US125.1 million, or $US1.45 per diluted share, compared to $US152.1 million, or $US1.41 per diluted share for the same period in 2013. On a reported basis, the company announced third quarter net income of $US11.2 million, or $US0.13 per diluted share, compared to $US142.0 million, or $US1.32 per diluted share for the same period in 2013. Third quarter 2014 reported net income was negatively impacted by $US139.5 million in pre-tax charges, or $US0.97 per diluted share after tax, related to the remeasurement of Venezuelan Bolivar denominated assets and liabilities at the SICAD I and SICAD II rates, and $US17.5 million in pre-tax charges, or $US0.13 per diluted share after tax related to a legal reserve. For the quarter that ended September 30, 2014, the company generated $US101.9 million net operating cash flow, and purchases of property, plant and equipment in the period were $US34.5 million. 1 See Schedule A — “Reconciliation of Non-GAAP Financial Measures” for more detail. Mr. Johnson continued, “The changes we are applying globally, such as first order limits, have been tested in key markets and proven to drive positive results in terms of long term sustainable growth. China, Russia and parts of Europe are all great examples of markets that are stronger now than they were before we implemented such changes. 2 Supplemental tables that include additional business metrics can be found at http://www.ir.herbalife.com. 3 Worldwide Average Active Sales Leaders may not equal the sum of the Average Active Sales Leaders in each region due to the calculation being an average of Sales Leaders active in a period, not a summation, and the fact that some sales leaders are active in more than one region but are counted only once in the worldwide amount. Guidance for fourth quarter FY’14 includes an unfavorable impact from currency rates of approximately $US0.31 compared to the prior year, inclusive of approximately $US0.22 from Venezuela. Guidance for FY’15 includes a currency headwind of approximately $US0.66, including approximately $US0.45 from Venezuela. Based on current business trends the company’s fourth quarter fiscal 2014 and full year fiscal 2015 guidance is as follows. Guidance excludes the impact of expenses primarily related to legal and advisory services relating to the company’s ongoing business matters, expenses related to an FTC inquiry, and the impact of non-cash interest costs associated with the company’s Convertible Notes and the expenses incurred related to the effort to recover costs related to the reaudits that occurred last year. Forward guidance is based on the average daily exchange rates of the first two weeks of October. Included in the guidance is the use of the GAAP rate for Venezuela of 50 to 1 for the balance of the year and all of 2015 and excludes the potential impact of future devaluation of the Venezuelan Bolivar and future repatriation, if any, of existing cash balances in Venezuela. Herbalife senior management will host an investor conference call to discuss its recent financial results and provide an update on current business trends on Tuesday, November 4, 2014 at 8 a.m. PST (11 a.m. EST). The dial-in number for this conference call for domestic callers is (877) 317-1296 and (706) 634-5671 for international callers (conference ID 7788487). Live audio of the conference call will be simultaneously webcast in the investor relations section of the company’s website at http://ir.herbalife.com. An audio replay will be available following the completion of the conference call in MP3 format or by dialling (855) 859-2056 for domestic callers or (404) 537-3406 for international callers (conference ID 7788487). The webcast of the teleconference will be archived and available on Herbalife’s website. Herbalife Ltd. (HLF) is a global nutrition company that sells weight-management, nutrition, and personal care products intended to support a healthy lifestyle. Herbalife products are sold in more than 90 countries through and to a network of independent members. The company supports the Herbalife Family Foundation and its Casa Herbalife program to help bring good nutrition to children. Herbalife’s website contains a significant amount of information about Herbalife, including financial and other information for investors at http://ir.Herbalife.com. The company encourages investors to visit its website from time to time, as information is updated and new information is posted. (1) As discussed in Note 2 of the quarterly report on Form 10-Q for the quarter ended September 30, 2014, Cost of Sales includes $US7.6 million of inventory write downs related to Venezuela. (2) As discussed in Note 2 of the quarterly report on Form 10-Q for the quarter ended September 30, 2014, Selling, General and Administrative Expenses includes $US17.1 million and $US98.0 million pre-tax unfavorable impact related to the remeasurement of Venezuela Bolivar-denominated assets and liabilities at the SICAD I and SICAD II rate, respectively, and $US7.0 million loss on Venezuela asset impairment for the three months ended September 30, 2014; and includes $US103.4 million and $US98.0 million pre-tax unfavorable impact related to the remeasurement of Venezuela Bolivar-denominated assets and liabilities at the SICAD I and SICAD II rate, respectively, and $US7.0 million loss on Venezuela asset impairment for the nine months ended September 30, 2014. (3) As discussed in Note 2 of the quarterly report on Form 10-Q for the quarter ended September 30, 2014, Other Expense, net relates to the impairment of investments in Bolivar-denominated bonds. In addition to its reported results, the Company has included in the tables below adjusted results that the Securities and Exchange Commission defines as “non-GAAP financial measures.” Management believes that such non-GAAP financial measures, when read in conjunction with the Company’s reported results, can provide useful supplemental information for investors in analysing period to period comparisons of the Company’s results. (1) Based on interim income tax reporting rules, these expenses are not considered discrete items. As a result, the Company’s full year effective tax rate is impacted by these items. When applying the full year effective tax rate to year-to-date income, the Company’s year-to-date tax provision recorded with respect to these non-GAAP adjustments is different from the forecasted full-year tax provision impact of these items. As a consequence, adjustments to the year-to-date and quarterly tax impacts will be recorded as the adjusted full year effective tax rate is applied to income in subsequent periods. Additionally, adjustments to items unrelated to these non-GAAP adjustments may have an effect on the income tax impact of these non-GAAP adjustments in subsequent periods. The Company plans to update the income tax impact of these items in subsequent interim reporting periods. (2) Net of $US55,801 and $US(12) tax benefit for the three months ended Sept. 30, 2014 and 2013, respectively; and net of $US76,118 and $US6,796 tax benefit for the nine months ended Sept. 30, 2014 and 2013, respectively. (3) Net of $US1,461 and $US773 tax benefit for the three months ended Sept. 30, 2014 and 2013, respectively; and net of $US4,827 and $US3,241 tax benefit for the nine months ended Sept. 30, 2014 and 2013, respectively. (4) Net of $US1,533 and $US2,329 tax benefit for the three and nine months ended Sept. 30, 2013, respectively. (5) Net of $US1,817 and $US4,095 tax benefit for the three and nine months ended Sept. 30, 2014, respectively. (6) Net of $US93 and $US96 tax benefit for the three and nine months ended Sept. 30, 2014, respectively. (7) Relates to non-cash expense on our convertible notes and prepaid forward share repurchase contract. (8) Net of $US6,221 tax benefit for the three and nine months ended Sept. 30, 2014. (9) Net of $US913 tax benefit for the three and nine months ended Sept. 30, 2014. (10) Amounts may not total due to rounding.